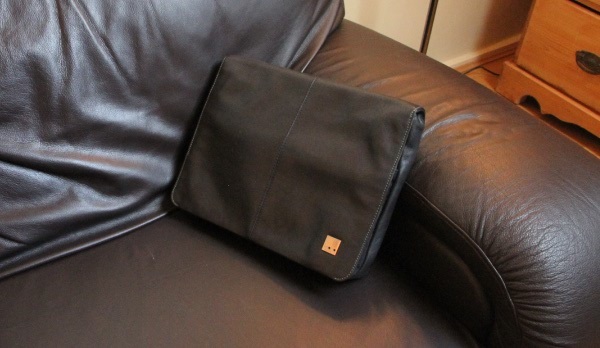 I spent a lot of time looking around for a bag that will suit my current computing habits – I found myself taking my Surface with me when I went to see friends and family quite often. I used a bag I already owned which was not really designed to hold a computer – and I worried about it. I knew I needed something that would keep my computer safe. First I thought about what I wanted to be able to carry and came up with a list of must-haves and optional extras that would all need to be able to fit – though not at the same time. 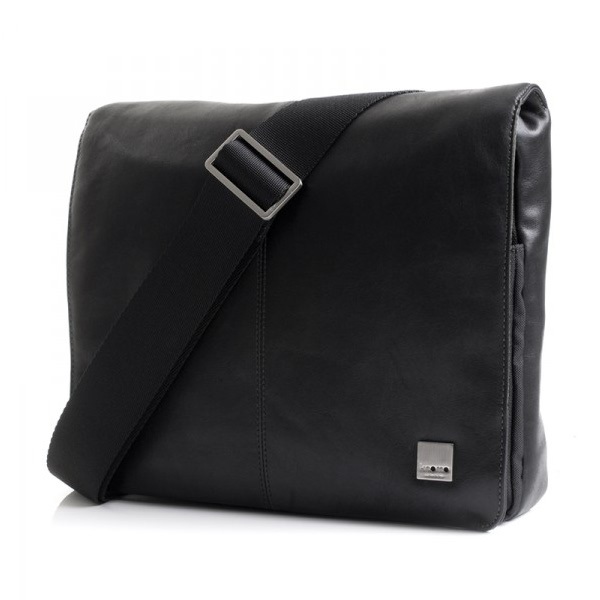 Eventually, after whittling it down to two* very different options, I decided to go for the Knomo Kilkenny cross body messenger bag, designed for laptops and tablets with screens up to around 11 inches. While it is not designed to be used with the Surface as such, it fits really well without being so tight that I wouldn’t be able to switch the computer out to something of a similar in the future. It’s also leather, which means it will hopefully last even longer than the technology it will hold. 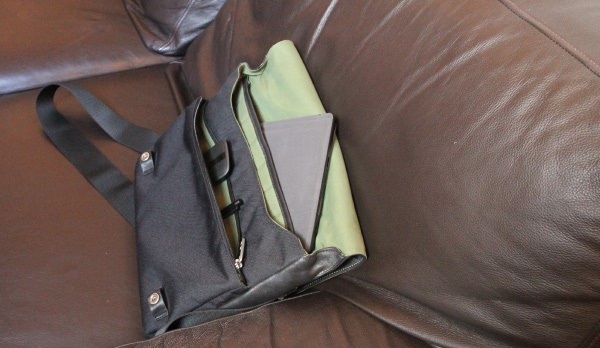 The padded back compartment is specifically designed to hold a laptop or tablet, there’s no extra pockets in here and my Surface Pro 2 fits really nicely. This will be the only purpose for this back section to ensure I never accidentally scratch or damage the computer. The middle compartment is probably going to be the most changeable, and there is plenty of room for a second Surface tablet, Amazon Kindle, or Nintendo 3DS XL. 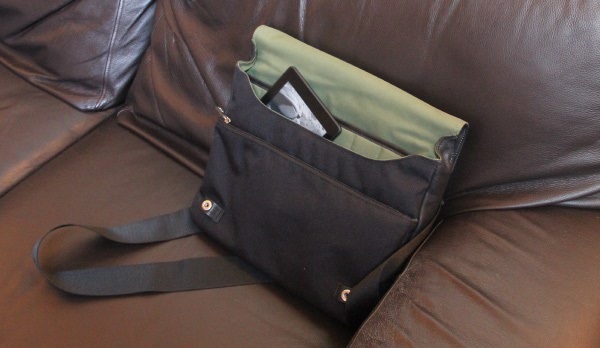 There are two pockets a nice amount of padding as well as a zipped compartment providing a number of options for storing cables, devices or chargers depending on what I need. The front compartment is protected by a zip, and has a couple of small pockets as well as two loops for pens. I must admit the space for the pens is a little shorter than my other backpack, making both my Surface Pen and my Koru Toga fit tightly – but they do fit. There’s also a back pocket and while I wouldn’t use it normally, it is ideal for picking up mail or storing documents for quick access. Very pleased to have it. I’m really happy with this bag. The quality is high, and it contains just the right mixture of storage verses size that I wanted. Especially when compared to the bag I was using, I’m sure that the Knomo Kilkenny will protect my most important electronic devices. * the alternative was the Grid-It backpack. It is super cool, but a little big for what I needed.